Join the Florilli family today in the Irwinton, GA area! you'll find that you're treated with the respect & the overall attention you need to be successful! Top Mileage Pay & $3,000.00 sign on bonus! Now Hiring CDL A Drivers in the East Hazel Crest, IL area! Join the Florilli family today in the Butler, GA area! you'll find that you're treated with the respect & the overall attention you need to be successful! Join the Florilli family today in the Cleveland, MO area! you'll find that you're treated with the respect & the overall attention you need to be successful! Join the Florilli family today in the Anna, OH area! you'll find that you're treated with the respect & the overall attention you need to be successful! Enjoy Consistent 2500-3000 solo miles each week! Now Hiring CDL A Drivers in the Alsip, IL area! Top Mileage Pay & $3,000.00 sign on bonus! Top Mileage Pay & $3,000.00 sign on bonus! Now Hiring CDL A Drivers in the East Alton, IL area! Enjoy Consistent 2500-3000 solo miles each week! Now Hiring CDL A Drivers in the Elk River, MN area! Top Mileage Pay & $3,000.00 sign on bonus! 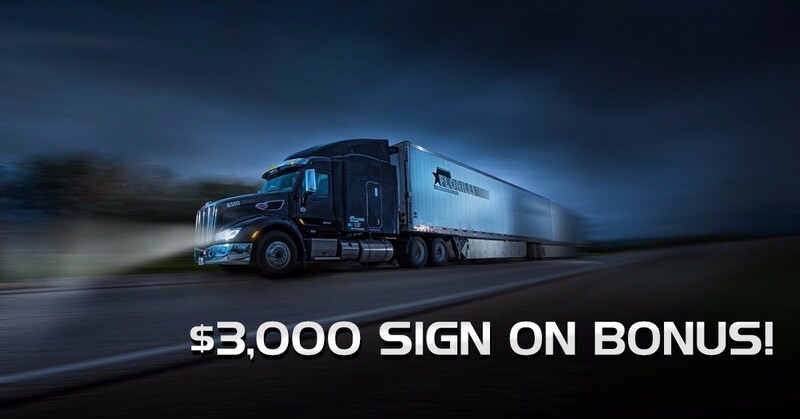 Top Mileage Pay & $3,000.00 sign on bonus! Now Hiring CDL A Drivers in the Rossville, KS area! Join the Florilli family today in the Logan, IA area! you'll find that you're treated with the respect & the overall attention you need to be successful! Our Driver Average 2.5K Miles Per Week! Our Driver Drive Top Of The Line Peterbilt and Freightline Equipment! Florilli Has 99% No Touch Freight! Florilli Transportation, LLC is a refrigerated carrier serving customers throughout the continental United States. The commodities transported by Florilli consist primarily of finished food products, meat and produce. The hub of Florilli’s network is centered in the Upper Midwest with distribution lanes to the East Coast, Southeast, Texas and California markets. Florilli Transportation, LLC employs 250 people and operates 220 power units.